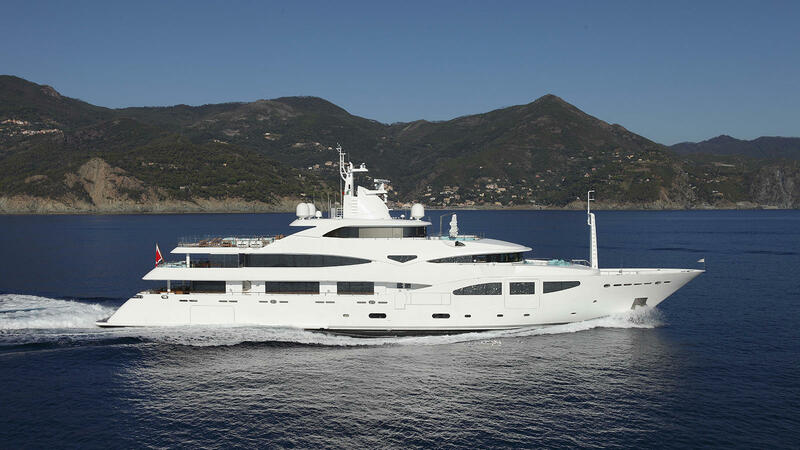 Launched in 2011 by the CRN Ancona shipyard, the 60m/196ft custom-made LUXURY DISPLACEMENT SUPERYACHT has a steel hull and aluminium superstructure with naval architecture and exterior styling by Zuccon International Project, while the interiors were completed by Zuccon International Project in collaboration with Laura Sessa Romboli. 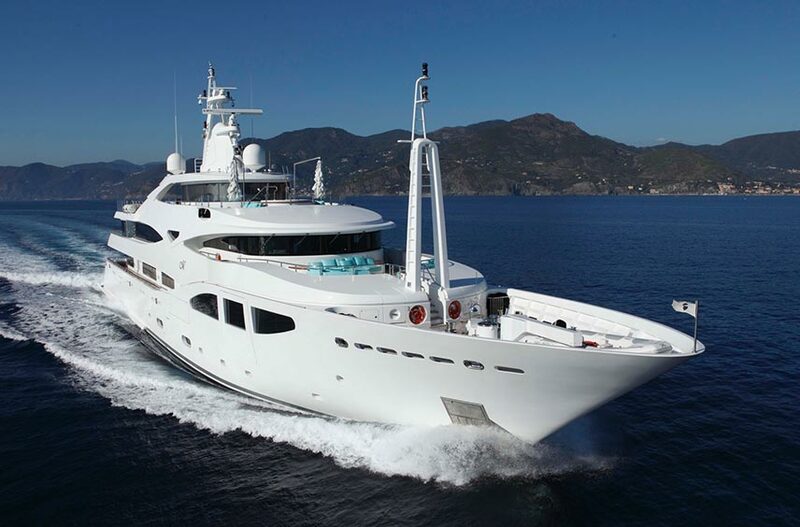 An outstanding charter yacht with a highly-skilled crew of 14, she can accommodate a maximum of 12 guests over seven cabins. The lower deck has a spacious swim platform that leads into a comfortable beach cabin, or alternatively, guests can take the stairs up to the main deck aft. Here, there is a plush casual sofa with two smaller sofas on either side ideal for coffee mornings and unwinding after a busy day. 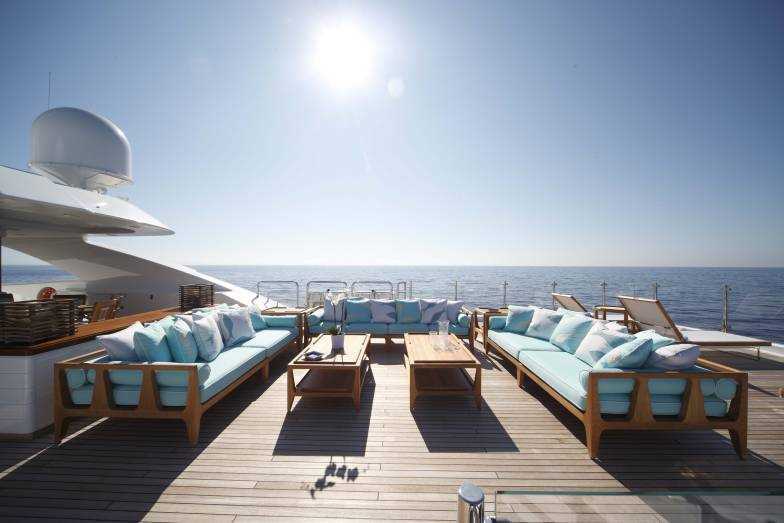 The upper deck is designed for outdoor dining and entertaining; a large and stately rectangular table will seat up to 12 guests in the shade, and after the meal, there is plenty of cosy seating along the stern for drinks and conversation at sunset. 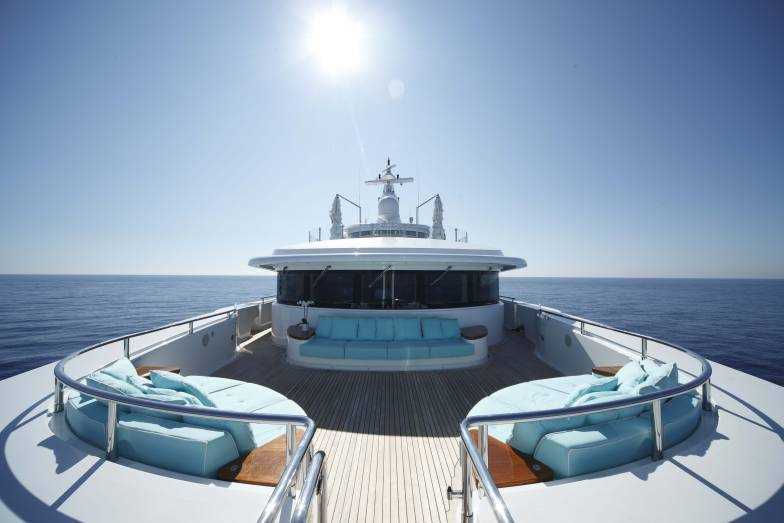 The upper deck forward is a quieter area where guests can settle into the corner sun pads or the sofa in front of the helm station and savour the spectacular views. 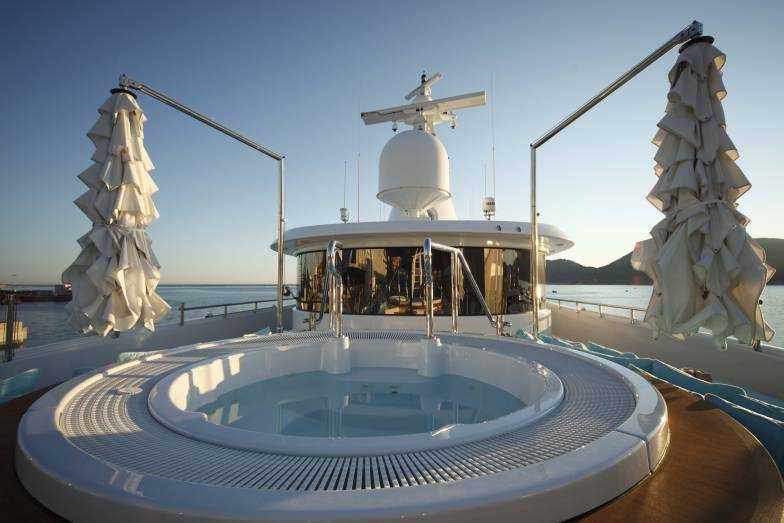 On the sundeck, the forward circular Jacuzzi has steps from easy access and sun pads on either side for drying off. The aft sundeck area has a large alfresco lounge ideal for casual dining with a nearby barbeque adding flavour to the meals. The lower deck contains a beautifully laid out beach club for sheltered and comfortable lounge close to the water. Forward of the beach club is the tender garage and engine room, while two double cabins and two twin cabins convertible to doubles are located amidships. The forward section hosts the crew accommodation, mess and laundry facilities. 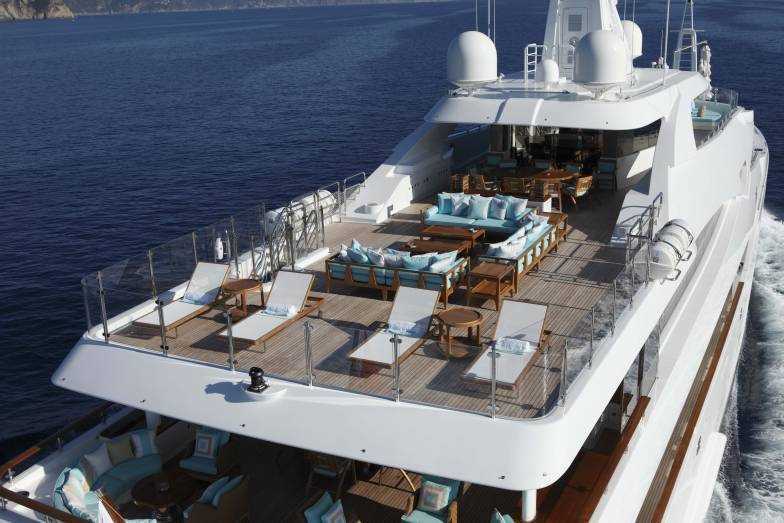 The main deck forward contains a spacious full-beam Master suite complete with lounge and starboard terrace. There is also an en-suite bathroom, walk-in wardrobe and owner's study. Behind the main foyer is the formal dining room, which has a grand oval table ideally suited to Sunday lunches and special occasions. The aft main salon is characterised by the muted mid-tone panelling and furnishings in white and vibrant azure. An oversized sofa is placed to port and starboard, while around the central coffee table are four armchairs. On the bridge deck behind the helm station and the Captain's cabin is the port side VIP stateroom with en-suite bathroom, and the single guest cabin ideal for children or additional staff. The sky lounge to the aft is a relaxing environment fitted with an L-shaped sofa with footstools stored beneath the coffee table and a widescreen TV opposite. 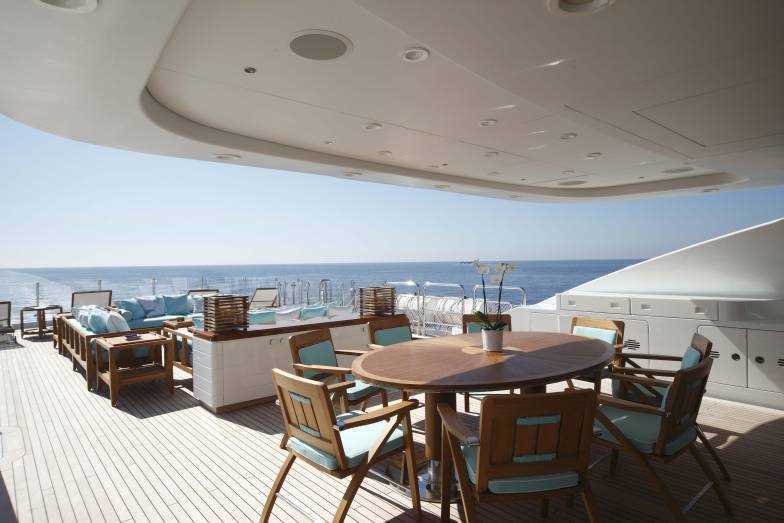 A games table beside the aft sliding doors receives plenty of natural light and excellent views while guest play cards or board games together. Upon the sundeck, there is a spacious gymnasium behind the lobby with excellent natural lighting, air conditioning and TV entertainment. 2 x 1575 HP Caterpillar engines provide a cruising speed of 12.5 knots. The accommodation sleeps up to 12 charter guests over 7 en-suite cabins: 1 Master suite, 1 VIP stateroom, 2 double cabins, 2 twin cabins and one single cabin. The crew of 14 will ensure that everyone on board has a spectacular time exploring each location. 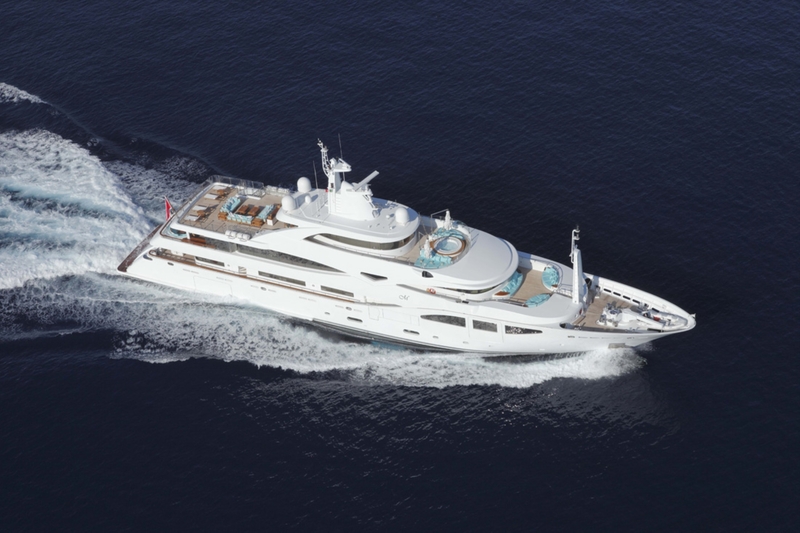 We do have available further amenity, owner and price information for the 60m (197´) yacht 60M LUXURY DISPLACEMENT SUPERYACHT, so please enquire for more information.